The dress code for safety should never be unclear. Knowing which personal protective equipment (PPE) to wear when handling a hazardous material is essential for working safely and preventing adverse health effects in the workplace. Personal protective equipment covers a broad range of protective wear, including gloves, respirators, goggles, clothing, and many other types. This is common knowledge for most employees. The true root cause of many incidents is not being fully aware of exactly which PPE to choose when handling a given hazardous chemical. Like buckling the seat belts in a car, putting on the proper PPE is required every single time there is a risk of chemical exposure. It is everyone’s responsibility to be aware of the workplace safety and personal protective equipment requirements in their plant or facility. Shop floor employees, safety managers, office workers, and even the clients that use your products need to have clear communication about any chemical hazards and the PPE used to mitigate those risks. This is where Safety Data Sheets (SDS) and proper training are fundamental. Supervisors and managers play a crucial role in selecting PPE and developing training programs to ensure it is used properly. SDSs contain concise and specific information about hazardous substances and are an excellent starting point for getting informed. 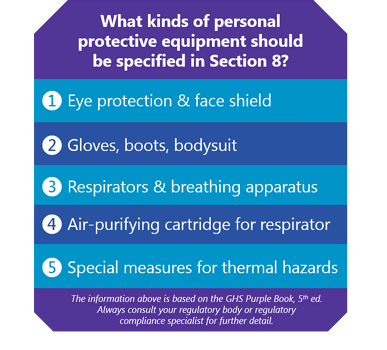 For PPE for normal usage conditions, look in Section 8: Exposure Controls & Personal Protection. For PPE requirements in the event of a leak or a spill, check Section 6: Accidental Release Measures. The information contained in both these sections is determined based on expert evaluation of the hazards of the substance and potential for contact. On top of the determinations from chemical experts, individual regulatory bodies – like the Occupational Health & Safety Administration (OSHA) – can include additional requirements for employers regarding their responsibilities for their employees’ safety. Let’s take a look at an example of the PPE directions you will find on an SDS. Here’s a snapshot of Section 2: Hazards Identification, Section 6: Accidental Release Measures, and Section 8: Exposure Controls/Personal Protection. Together, these sections let you know what hazards to watch out for and what PPE is needed during normal use or accidental release. In this example using an SDS authored using ERA’s SDS Authoring software, the hazards of the substance (given in Section 2: Hazards Identification) are used to determine what PPE is appropriate. In this case the safety hazards of this chemical product include (but are not limited to) flammable liquid, serious eye damage, and skin corrosion. Accordingly, Section 8: Exposure Controls / Personal Protections specifies that the user should wear splash-resistant googles. The supervisor should know, after reading Section 8, that they must provide workers with gloves made of PVC, neoprene, or rubber. If more specialized PPE information outside the scope of an SDS is needed, the reader is referred to the appropriate authority. In this case, the reader is told to consult respiratory protective equipment suppliers regarding the development of a respiratory protection program. For spills and accidents, upon referring to Section 6, workers will learn that they must wear liquid-tight chemical protective clothing, and managers will know that positive pressure self-contained breathing apparatus should be kept on hand. For any task involving a chemical product, all employees and their supervisors should refer to these three sections prior to starting any work. For certain tasks, reference to other sections may also be required. Beyond the standards of the Globally Harmonized System (GHS), many countries use other hazard communication standards. 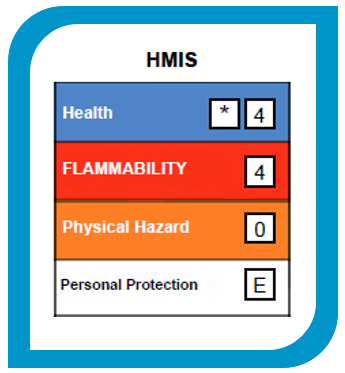 A common example of this is the Hazardous Materials Identification System (HMIS). HMIS data may be included in Section 16: Other Information. In this example, the flammability rating of 4 is caused by the classification Flammable Liquids – Category 1. 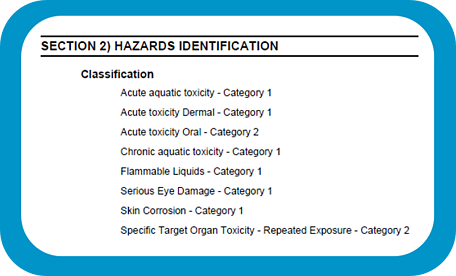 The hazards Acute Toxicity Dermal – Category 1 and Specific Target Organ Toxicity – Repeated Exposure – Category 2 trigger health ratings of 4 and * (denoting “chronic” effects), respectively. Importantly, HMIS also uses a letter-based code to indicate what PPE should be used. In this case, since Section 8 recommends eye protection, gloves, and a respiratory protection program, the code E – Safety glasses, gloves, and a dust respirator is included. 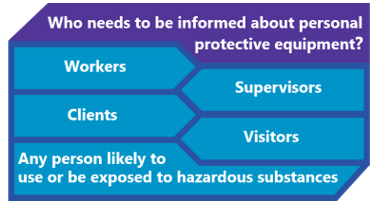 What safety managers need to know is that the letter code is determined not solely based on the GHS hazards but also based on the exposure risks of a hazardous substance as it is actually used, so employers should take care to assess the usage patterns in their workplace. If your products are classified using the HMIS standards, it is vital to to cross reference the PPE requirements from both the GHS and Section 16. Is Personal Protective Equipment Enough? The information on an SDS is only a starting point for choosing PPE. Plant managers or safety supervisors should always contact their PPE and hazardous materials suppliers to get a full understanding of how to select and use the correct personal protective equipment. It is also important to consult your business’ own safety experts and workplace stakeholders. Many businesses ensure safety is a priority by using several layers of safety checks when choosing PPE, including risk assessment protocols, internal safety committees, safety advocacy groups, and other specialists. All of these safety checks come in to play well before anyone on site dons a piece of personal protective equipment. Although PPE is a necessary part of workplace safety, PPE alone is not sufficient. As an employer, it’s your duty to ensure worker safety through a range of measures that go beyond simply providing the proper PPE. As per OSHA requirements and standards (in addition to safety regulations across most countries), employers are required perform risk assessments to identify hazards before an employee is assigned a task and to train employees on the proper use of PPE and how to read an SDS for safety information. Also, there are many crucial pieces of protective equipment that are not worn by the worker, such as fume hoods, ventilation systems, eye wash stations, fire extinguishing media, and waste disposal facilities. You can think of it this way: wearing PPE in a workplace without these crucial safety measures is like wearing a seat belt in a car with no airbags. The proper selection and use of personal protective equipment must be part of a larger culture of safety – an entire set of attitudes, protocols, and priorities that put worker safety on top. Personal protective equipment does not replace safety equipment (like railings to prevent falls), nor does it replace safe behaviors and practices in the workplace. That’s why it is essential at all times for hazardous materials to be carefully stored, transferred, transported, processed and used by fully trained, well-informed personnel. Your staff should understand what the product they are using does, how it could affect them, and how to avoid those risks through behavioural best practices. To go back to our car analogy, just because you are wearing a seat belt and your car has airbags does not mean it is a good idea to run a red light! Adapted from the Official Gazette of the United States Patent Office, Volume 30 (1885). Implementing risk assessment methodologies to identify physical and health hazards. Regularly auditing yourself, even if you have a good safety record, to find ways to improve. Centralizing copies of your SDSs so they are easily searchable and at hand when needed. Tracking your training at the individual staff level so you can provide refresher training before an incident, not afterwards. Using a system to monitor KPIs like leading and lagging incident indicators to help your business be more proactive in predicting and preventing injuries. For today’s safety managers, here’s a free PDF guide to understanding how to audit your own facility for risks and hazards. This guide covers how to apply OSHA’s methodology to risk assessment audits and ensure you meet their standards. You’ll learn how to improve your own auditing process and identify hazards before they become incidents. Click the button below to access the document today. 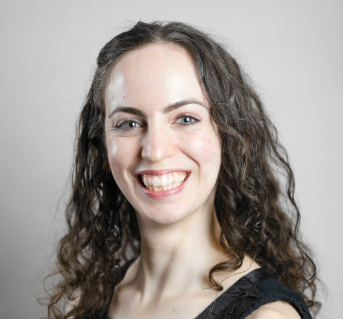 Alison Fraser is a GHS Regulatory Specialist at ERA Environmental Management Solutions.